Summer is a favorite time of year for outdoor play and adventure. Unfortunately, camping trips and bicycle rides can often lead to nasty cases of poison ivy, oak and sumac. According to the American Academy of Dermatology, the itchy, blistering rash caused by these plants results from an oil called urushiol. The sticky oil is found in the leaves, stems and roots, and easily sticks to skin and clothes. 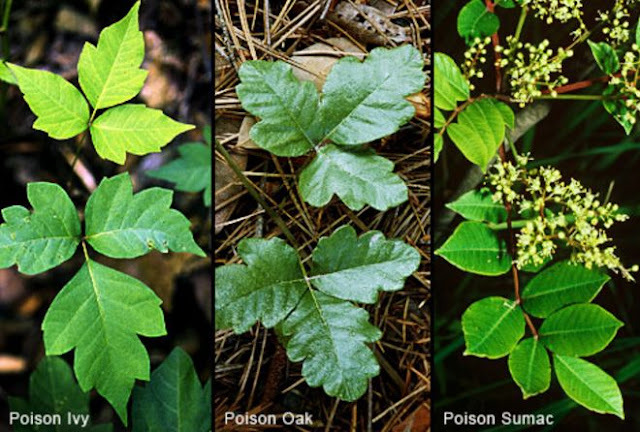 A poison oak, ivy, or sumac rash is not contagious. It is however, extremely uncomfortable for the afflicted person. Symptoms include redness, itching, swelling, and blisters, according to Mayo Clinic. Rashes caused by poison ivy, oak, or sumac typically heal on their own within a few weeks. But why would you patiently suffer through the pain? You can make the rash less irritating and quicken the recovery process by following these home remedies. 1. Turmeric and lemon juice. Natural News swears by the home remedy of mixing equal parts turmeric and lemon or lime juice. Apply the thick paste to the rash and let it soak in for fifteen minutes. You will likely be amazed by the fast and effective results. 3. Baking soda. Reader's Digest recommends mixing three teaspoons of baking soda with 1 teaspoon of water, and applying the homemade paste to the itchy, blistering area. The solution will dry and flake off. You can also dip gauze pads in a larger quantity of the solution and apply them to the rash for ten minute four times daily. 5. Buttermilk. The proteins in buttermilk can help drain fluid from poison ivy blisters. They can also soothe itchiness. DIY Health Remedy recommends mixing equal parts salt, buttermilk, and vinegar, and applying the homemade solution to the itchy, blistering rash. You may feel instant relief. If you find heat helps soothe the itchiness, you can also mix buttermilk with warm water and use this to wash the rash. 7. Apple cider. Reader's Digest explains apple cider vinegar can actually kill the poison that causes the rash. To use this life hack, soak a brown paper bag in apple cider vinegar, and then place the bag on the rash. This could effectively draw out the toxins. 8. Dishwashing Liquid. At the first sign of a poison ivy, oak, or sumac rash, rub dishwashing liquid onto the affected area. Do not wash off the liquid and continue washing the rash with dishwashing liquid once a day until the rash disappears. According to Natural News, this method is also helpful for treating mosquito bites.